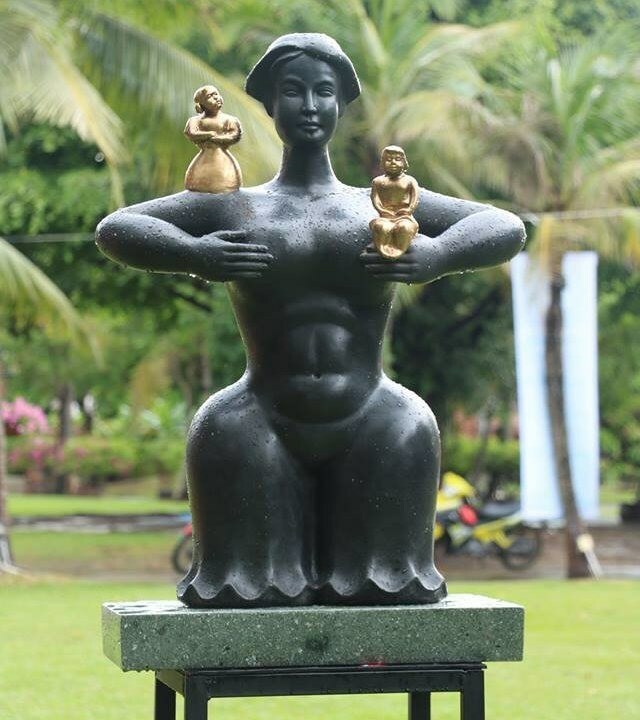 HCM City (VNA) - Forty-two sculptures in the themes of youth and love are on display at an exhibition in Ho Chi Minh City’s Van Thanh Tourist Park. The works were selected from the latest collections of 22 young artists in the region who participated in the Co To Sculpture Camp, organised by the HCM City Fine Arts Association in Quang Ninh province early this year. The works are in wood, glass, stone, aluminum, stainless steel and other materials, with some works two or more metres long. Highlighted works include Nguyen Hoai Huyen Vu’s Pho (Street), Bach Thanh Viet’s Gia Tai Cua Me (Mother’s Treasure), Pham Minh Chien’s Tuoi 13 (Teenager) and Nguyen Van Chuoc’s Uoc Mo Cua Chi (Sister’s Dream). The works symbolise hope for love and peace and improved economic and cultural progress for Vietnam. Veteran sculptor Le Lang Bien, head of the association’s sculpture office and a member of the event’s organising board, said the young sculptors depict objects seen in daily life. “Their works are simple in design and that helps young people learn the art,” he said. Bien said his association has worked with cultural authorities to organise art camps in an effort to encourage young artists to create work that reflects the country’s economic, educational and cultural development. “Through our camps, we also help young artists introduce their work to the public,” he added. “We faced challenges in exhibiting the works because of most of them are large objects. However, public places and parks in big cities must host more artisitic sculptures and receive more support from local authorities," Vu, winner of the HCM City Biennale Youth Fine Arts 2017, said.